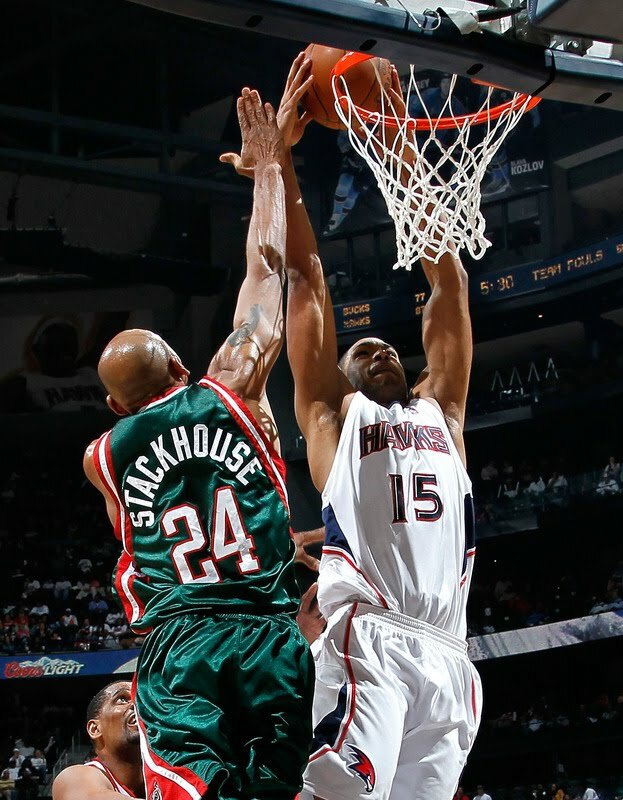 Al Horford jams one on old man Stackhouse, via GoldLakerLion. # 1 - Take your number of years in the league. # 2 - Take the square root of #1. 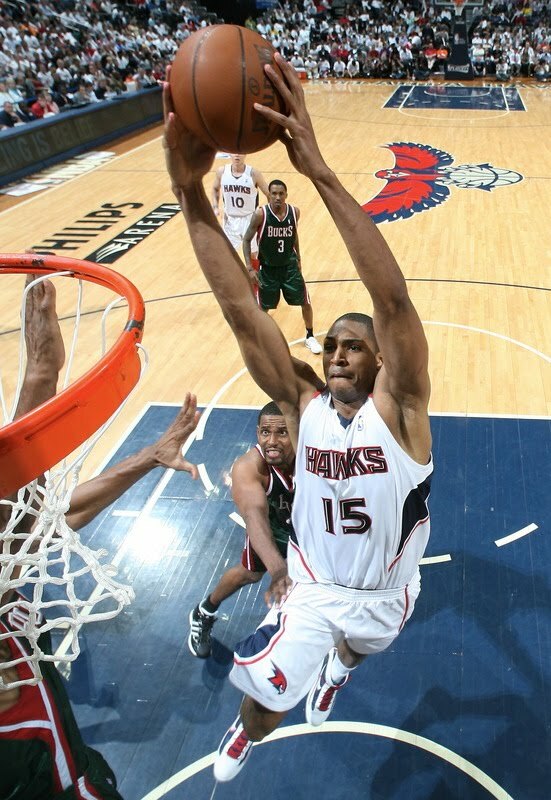 # 3 - Figure the number of years in the league for the guy heading to the rim. If # 3 < # 2, DON'T JUMP.